The two male victims were transported to a local hospital via private auto with non-life threatening injuries, cops say. 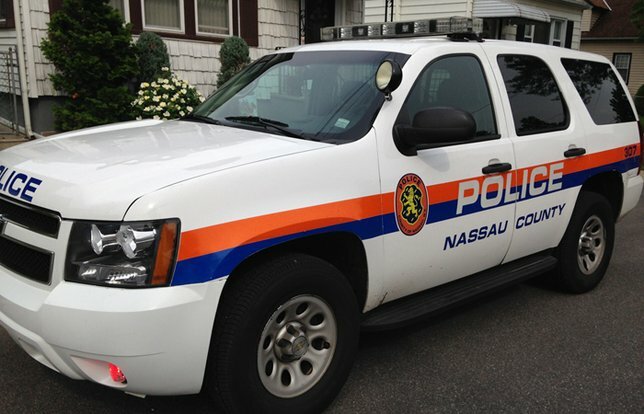 NCPD reports an Assault that occurred on Wednesday, July 11, in Hempstead. Hempstead, NY - July 12, 2018 - The Third Squad reports the details of an Assault that occurred on Wednesday, July 11, 2018 at 4:45 a.m. in Hempstead. According to detectives, an unknown male approached two male victims on Jackson St. and got into a verbal argument. The unknown subject then shot the two male victims, aged 20 and 22. The subject then fled on foot in an unknown direction. The two male victims were transported to a local hospital via private auto with non-life threatening injuries. The subject is described as a black male wearing a ski mask. No further description is available. Detectives request anyone with information regarding this crime to contact Nassau County Crime Stoppers at 1-800-244-TIPS or call 911. All callers will remain anonymous. Subject: LongIsland.com - Your Name sent you Article details of "Street Shooting in Hempstead Leaves Two Wounded, According to Authorities"